A burn is damage to tissue by heat, chemical, electricity, sunrays or radiation. The Most common Burn occurs from hot liquid such as soup, coffee and boiling water, but other liquids are flammable liquids and gases. Burns are describe by tissue depth and surface area covered. 1. First degree burn is superficial epidermis damage, such as sunburn with or without blisters. 2. Second degree burn affects epidermis and second tissue layer called the dermis layer. 3. Third degree burn are much deeper damaging epidermis, dermis, hair follicles and sweat glands. 4. Fourth degree burn extends into the fatty layers, fifth involves muscle and sixth involves bone. Severe burns are extremely dangerous because of systemic complications from a huge full body inflammatory reaction. This inflammatory response can cause an overreaction injuring major organs such as heart, lungs, kidneys, blood vessels and others. In most cases burns are treated with clean dry daily dressing using topical antibiotics to prevent infection and ease burn pain. However, in many burn cases daily debridement in an out-patient clinic is needed to remove damaged tissue to allow healing to occur. Severe cases may require acute hospitalization in special burn center. Our clinic is well trained in burn care and debridement and will provide you care with professional attention and compassion. Trauma wound definition is an injury to the body resulting in open skin and / or other tissue. 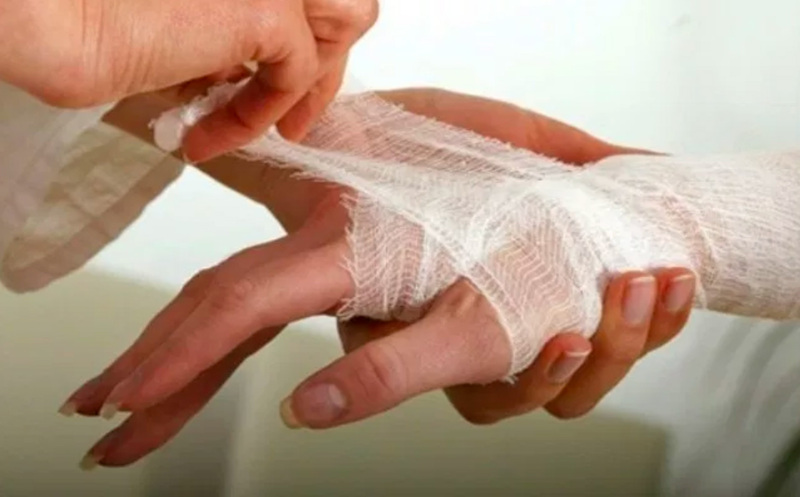 Trauma wound or injury is a universal phrase referring to damage produced by an accident, such as motor vehicle accident, fall, animal bite etc. (MedlinePlus, 2018). In America lots of people injure themselves yearly and those injuries vary from minor to deadly injuries. Trauma wounds happen at work, home, school, indoor, outdoor and basically anywhere at any time performing the most basic activities. For more information about trauma wound care, contact Yukon Wound Care & Rehabilitation at 405-265-2255.